Just a snap really as I'd kids and dogs in tow. 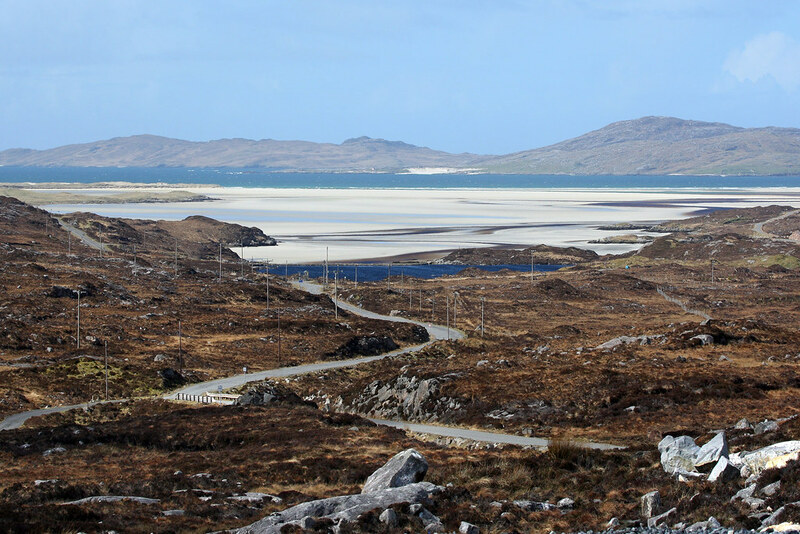 I liked what a long focal length did to the road leading down to Luskentyre beach and how it pulled Taransay a little nearer. I'd quite happily live there.